One of my dreams is to get really good at rehabbing old furniture. A little while back, I refurbished a hope chest for my newly renovated attic bedroom, and now I’m hooked. A fellow blogger wrote an incredible post about rehabbing a desk that she found on Craigslist. She did an amazing job and it inspired me even more. So where can someone like me find high quality, well-made furniture to practice rehabbing on without going to the poorhouse? The obvious choice is Craigslist. People get rid of some real gems, simply because they’re moving or they just don’t have the space. Warm weather and spring cleaning pave the way for yard sales. You can find some pretty cool items, and people are usually very flexible on their asking prices. Don’t be afraid to haggle! Thrift stores are hit or miss. Their inventory is constantly changing, so you have to be either really lucky, or really dedicated to visiting them often. This is an option that I didn’t even know existed until recently. Hotels purge their furniture ever so often, and they sell it at these hotel surplus stores for a fraction of the price. Depending on the hotel it came from (obviously the Waldorf Astoria won’t sell their couches for $100), the prices are sometimes cheaper than thrift stores. There are Restore locations all over the country. They are the perfect blend of furniture, architectural materials, and unbeatable prices. 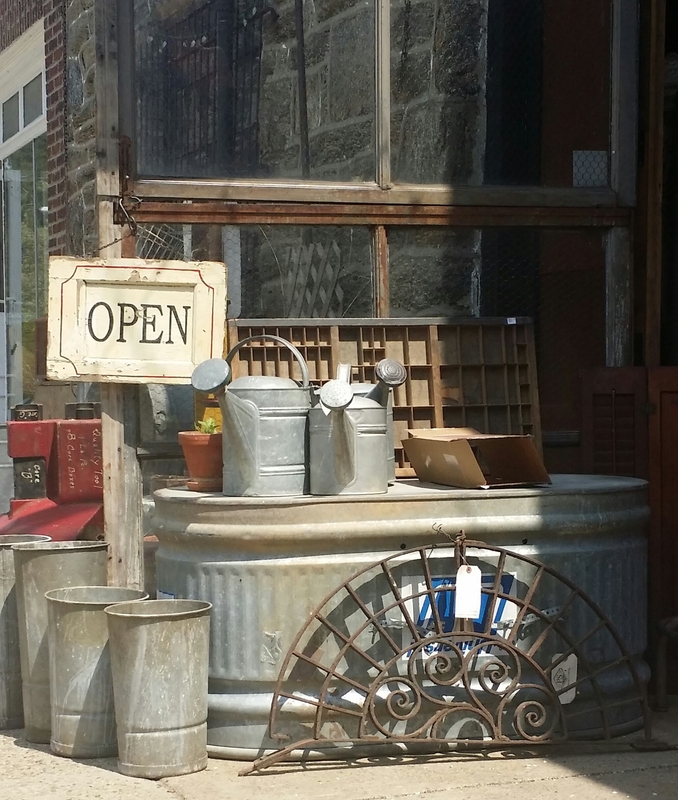 Salvage yards are great for finding that unique piece that’s old, worn, and in need of a little care, yet still functional. They’re also the perfect place to find cool hardware for desks and cabinets. Happy hunting, you guys!!! If any of you DIYers have some other favorite places for me to check out or tips on rehabbing furniture, please let me know in the comments!